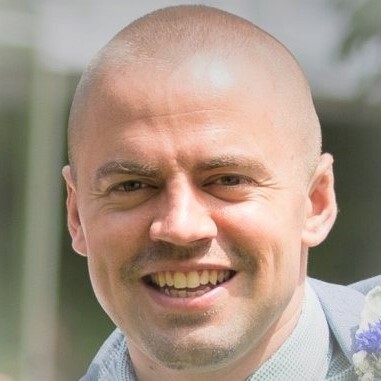 My name is Marek Doyle and I have been working as a nutritional therapist since 2006, when I initially focused on sports nutrition and fat loss in athletes. I have spent my entire adult life studying the human metabolism to determine why some people respond well to interventions while others flounder. I have personally experienced what is often dubbed “adrenal fatigue”. I began to suffer from the classical symptoms in early 2007. At the time, I was still in the process of setting up my business, while also facing financial stress and undertaking a gargantuan training schedule ahead of Muay Thai bouts. After spotting similar symptoms in many individuals I was working with, I began to measure their adrenal function and was delighted at the changes that became possible once we provided the support. My focus on the adrenal function has been a feature of my protocols ever since. I have worked with around 2,200 individuals (the majority consulting me for adrenal issues) and order more Adrenal Stress Index tests than any other practitioner in the UK. My work on adrenal issues has been featured in various media outlets, including Marie Claire and the Daily Mail. As mentioned above, I began to focus on the adrenal function and its effect on the human metabolism in 2007. It was evident at the time that there was little information about the adrenals and the condition that was dubbed ‘adrenal fatigue’. There were (and are) no drugs in the pipeline for such issues and little research being funded by the companies with the money to do so. This dearth of useful information left sufferers out in the cold and make it difficult for practitioners to formulate reliable protocols. One of the difficulties was that there were so few practitioners with first-hand exposure to the world of adrenal fatigue. By the time I had achieved successful outcomes with three dozen individuals, I began to receive word-of-mouth enquiries from all corners of the globe. Although I have provided Skype consultation since 2012, I did not do this at the time and this left me with little to offer these sufferers. I set up this website in 2010 with the aim of bringing together knowledge from practitioners across the globe and providing a global directory that the public could use to find help in their local area. I envisioned a forum where practitioners could learn from another and the public could access authoritative information on the subject; identifying both similarities and differences in the approaches that were proving reliable. Of course, this is not what happened. The few practitioners who expressed a desire to get involved in the project were undeniably well-meaning but inexperienced in this difficult area. Many were working with their first ‘adrenal’ patient. I emailed several well-known figures in the adrenal fatigue area but the response but unenthusiastic. However, while I came nowhere near to achieving my original aims, there was a legacy in the articles on this website. Strangers emailed me and said it was helpful. Existing clients said it was helpful. But it also provide a surprise benefit for my own project; I realised that my business was doing better, with many enquiries now coming from the articles were up. It also allowed individuals to gauge what sort of approach I was using, which improved both patient compliance and outcome. A true win-win! Most of the articles that you read on this website were written between 2010 and 2014, although all underwent a review in 2017 to ensure that they still fully represent my views on providing the most effective adrenal support possible. The very nature of my world is that I am continually working to improve the protocols that I provide (and I have spent around 17,000 hours on research and auditing of my results in the last decade). While I intend to continue to add articles to this website, my approach has evolved in recent years to include equal attention on other areas of the metabolism. I have invested a lot of time mapping out ways to support the endocrine system as a whole, conditions in the central nervous system, the methylation cycle, the cellular antioxidant response, immune function (and processing of food chemicals). All of these have strong links with adrenal function. What is the consequence of this? Adrenal support continues to plays an integral part in the advice I provide to every single individual, yet the articles I write are less likely to be suitable for an adrenal-specific website. This, plus a heavy schedule working one-to-one with clients, means that there are less new articles on this site… but I will continue to add more when I can! My primary website is www.marekdoyle.com and there are a number of articles on this site that relate to the metabolism as a whole (which naturally includes adrenal function).